As the cooler weather arrives and the daylight hours are shortened, it is inevitable that more time is spent indoors. Does the interior of your home pass muster when you give it a critical eye, or could it use some freshening up? There is nothing like a whole-house paint job to brighten the rooms and your spirits as well. Painting, unlike redecorating, is a fairly inexpensive way to get a home makeover. Of course, everyone knows that painting your home could be a DIY project, but do you really want to spend all your free time perusing paint samples, patching or prepping the walls and painting two coats for every single room? Why not treat yourself and have a pro do the job for you? An experienced interior painting contractor in Little Salver will not only consult with you to choose the best colors and type of paint for the individual rooms, but will expertly apply that paint and finish up the job in much less time than you could ever hope to accomplish this chore. While you mull over contacting a professional painter versus doing it yourself, here are a handful of hints as you bring that idea to fruition. Even though a painting professional could help you choose colors based on room size, shape or purpose, perhaps you’d like to check out what is available in advance of the initial consultation. Before you head to the paint store, you should obtain the square footage dimensions of your room(s) to determine how much paint and/or primer is needed. The general rule is two coats of paint per room – one to cover the bare wall, prior paint color and/or any patching work, and the second coat is to distribute even color on the walls for a good-looking paint job. 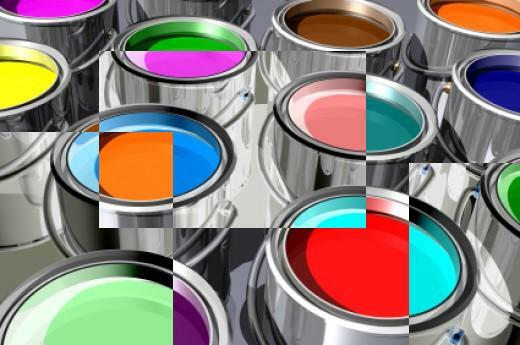 All these factors affect the amount of paint you need to purchase. Another tip to factor in when computing how much paint will be needed for your project, is that semi-gloss and eggshell paint finishes will go further than flat paint, and a gallon of high-gloss paint will go a lot further than a gallon of flat paint. The internet makes it easy to peruse the palette of colors available for each of the rooms in question. No more standing endlessly comparing near-identical color swatches at the paint store until your eyes run together, when you can check out the colors from the most-popular paint manufacturers online. Although a professional interior house painter can guide you on colors based on the size or shape of a room, paint chips sometimes just aren’t accurate. Now, most paint manufacturers carry test sample cans of the colors. They are just enough to apply in an inconspicuous spot in the room and save you from spending money on full-sized cans of paint that don’t work out as planned. Flat or matte. Just like a matte photograph, this finish looks great and fingerprints cannot smudge it. It is the most-common interior wall paint because there is no shine or sheen to the finished product, making it ideal for walls and ceilings where you don’t want any type of visual distraction. To get this opaque and sophisticated look, simply apply using a brush or roller. A plus is that it works well on walls which have imperfections, however, the downside is that a matte finish can be easily marked or scuffed, and although some of these marks are easily removed by a damp cloth, most eventually need retouching. Matte enamel. Matte enamel is very much like matte paint, only more durable and it is an especially popular finish if you have young children or for the kitchen, where, in both instances, you might need to regularly wipe the walls down. The visual effect is similar to matte paint and it can be applied with a brush or roller. Since it is easy to clean, it rarely needs retouching. Satin. A satin finish is a cross between matte and gloss and produces a low, soft sheen. This finish is ideal for areas where you’ll need to clean the walls regularly. However, steer away from a satin finish if you have a wall with imperfections because it will make them more apparent. Eggshell. An eggshell finish has a shine that’s extremely subtle but lacks the same smoothness as does a satin finish. With its low luster, it is excellent for covering wall imperfections and is easy to apply. Though most paint manufacturers recommend applying two coats of paint when painting a room for adequate coverage and to achieve the full color, one coat of eggshell will often suffice, making it a popular paint choice. Semi-gloss. A semi-gloss finish is another popular paint finish, although it is used primarily on trim, rather than walls. It is a durable finish, suitable to heavy use and scrubbable with just soap and water. Careful application will allow you to achieve a good covering in just a single coat. High-gloss. Like its counter-part flat/matte finish, gloss paint shares equal billing as the most-common interior wall paint. You can use gloss-style paint on any type of wall, although most people prefer to use it strictly on the woodwork because of its high shine. It is an ideal paint finish choice for rooms that get a lot of wear and tear and it is scrubbable. Be careful not to use gloss paint if you have wall imperfections as it will enhance every one of them. Usually two coats are needed to achieve even and complete coverage and drying time is extremely lengthy. Oil-Based. For interior painting, an oil-based paint has its pros and cons. Professional painters prefer this type of paint because, despite its extremely lengthy complete drying time, that long drying time allows the paint to cure and flatten out all brush marks. It is odiferous paint for application as well as cleanup – the odor is very strong and lingers for a long time for the paint as well as clean-up of brushes which must be rinsed with mineral spirits or turpentine. If a family member has breathing problems or if you are painting with this petroleum-based paint when the windows cannot be opened fully, it might be problematic for them. If you choose to use oil-based paint, the durability is very good and it may be applied on primed walls, woodwork or previously painted surfaces. Now that you’ve looked at your options for finishes, you are ready to undertake this paint job challenge, or, at the very least, consult with a professional interior painting contractor who will clarify any questions you have and offer advice based upon years of experience. The most important point to remember is that high-sheen or high-gloss paint finishes create a darker or more-intense wall color and they also fail to hide most wall imperfections. Most paint finishes come in either latex-based or oil-based paints, so you’ll want to evaluate the pros and cons of both before purchase.